"From the beginning, Mr. Smith displayed nothing but caring qualities that proved to me that he’d be a devoted, tenacious and passionate lawyer." - Belinda C.
"Stephen M. Smith and the Brain Injury Law Center were the only lawyers educated and sophisticated enough to try my case. I have no idea where I’d be today without them." - Tommy B. "Mr. Smith’s hard work helped to ensure me and my family was taken care of, and I got the medical care I needed." - Linda K.
We are the premiere law firm in the United States dedicated to representing brain injury victims and their families. I consider myself more than just an attorney to my clients. I truly sympathize with the trauma they have gone through, and want them to have the best outcome possible. - Stephen M. Smith, Esq. If you or a loved one has suffered a brain injury, you understand the devastating emotional and financial impact it can have on a family. In some cases, a recovery takes a lifetime not only for the person injured, but for those who love them. We founded the Brain Injury Law Center to help people like you. We are brain injury lawyers dedicated to representing victims, survivors and their families. We build strong cases seeking compensation for brain injury sufferers when a person, company or any other entity can be held liable for what has happened. We can’t undo an injury, but time and time again we have been successful in obtaining large settlements and verdicts to ease the financial burden our clients face. Our founder and director, Stephen M. Smith, is an internationally recognized expert in traumatic brain injury litigation, with nearly four decades of experience with brain injury cases. 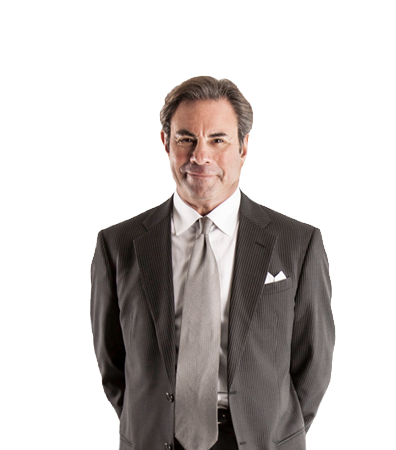 He handles lawsuits across the U.S. and the world and is often sought out by other attorneys for assistance. Contact us today by calling (877) 537-4340 or filling out the form on this page to speak with an attorney about how to seek compensation for a brain injury. All consultations are free and without obligation. A cloud of silence has hung above the subject of brain injuries for far too long. For generations, they were suffered on the battlefield, the gridiron or the Little League diamond. They didn’t always look like much. They happened on the playground, in the backyard or at the workplace. And we said nothing. The athlete returned to the field. The employee got back to work. And the soldier, bearing wounds that no one could see, returned home from the battlefield with an injury that went untreated. We now know that seemingly minor brain trauma can have major implications in the long run. And people have begun to talk. In our first eBook, Breaking the Silence, we speak with brain injury survivors about the often astonishing paths their lives have taken since their injury. They aren’t keeping quiet about their recovery. And they shouldn’t. It’s time for us to listen to what they have to say. It’s time to break the silence. Thanks to brave survivors like these, the struggles of brain injury victims remain in the shadows no longer. And neither do their triumphs. The brain is just as delicate as it is vital. Even something that initially seems like a minor injury can prove life-changing if certain portions of the brain are damaged. This can happen in an automobile accident, while playing sports, after slipping and falling or in any number of other scenarios. Certain medical ailments may cause a critical loss of bloodflow to the brain, resulting in permanent damage. If you or a loved one has suffered a serious brain injury, we understand that you never wanted to be in this situation. However, just as you need medical experts to get the right care, you may need an attorney who understands the laws surrounding brain injuries to aid in your recovery as well. We lecture on this subject nationwide. If there is potential compensation available that could ease your financial burden and aid in your recovery, you need to seek it. Contact the Brain Injury Law Center today at (877) 537-4340 or by using the form on this page for a free, no-obligation consultation to discuss your case. Attorneys Stephen M. Smith and David B. Holt of The Brain Injury Law Center partnered with The Mottley Law Firm to settle a case for a woman who suffered a traumatic brain injury in a head-on collision. The case was especially challenging due to the woman’s complicated psychiatric medical history.